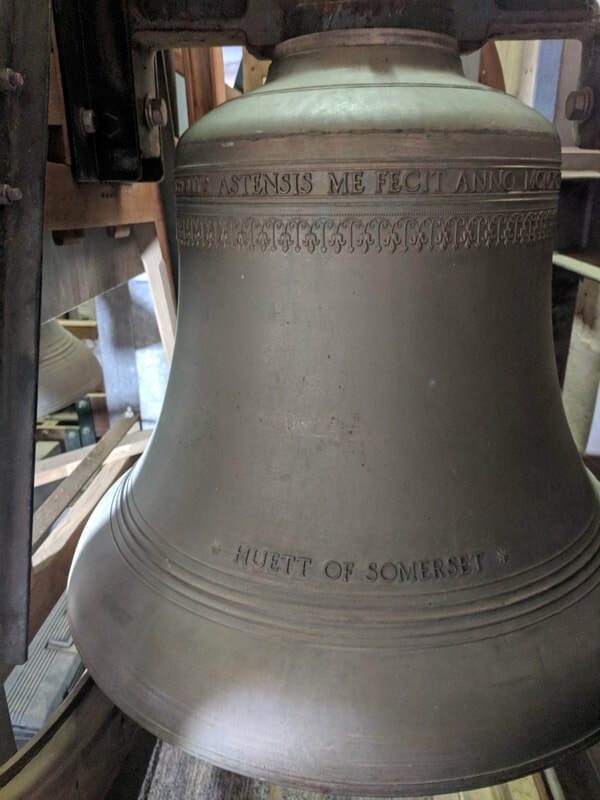 What is English Change Ringing? 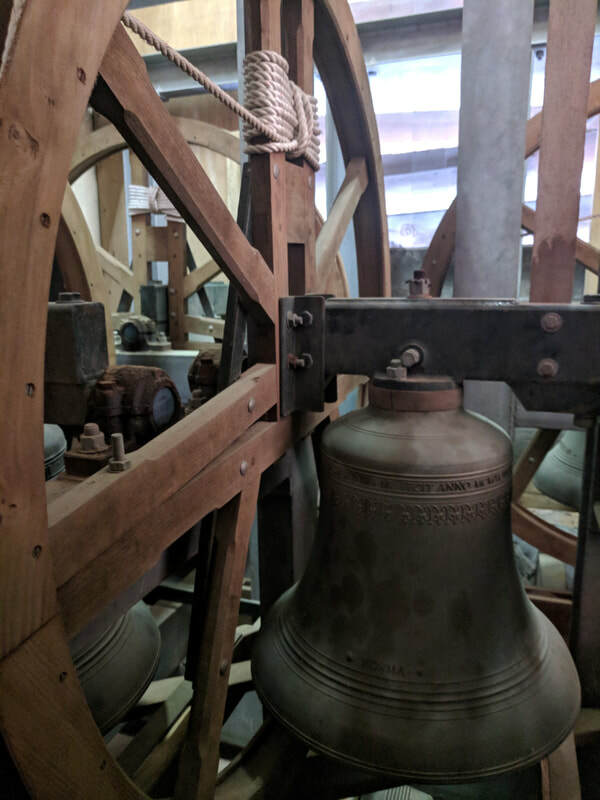 Developed about 300 year ago, English change ringing bells swing full circle, through 360 degrees, allowing the bells to strike in a controlled manner alternately one way and then the other. 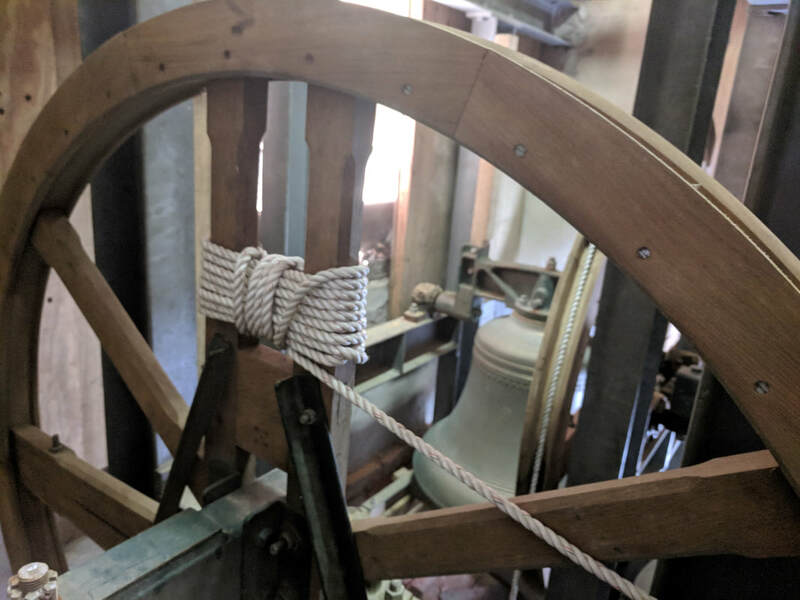 Ringers, by pulling a rope with a section called a "sally", ring the bells in devised "methods" which are determined and memorized ahead of time or in "patterns" which are called by a conductor. In either case, the bells "change" places, but they do not play songs. The six bells at St. Andrew's were installed in 1993 as part of the 300th Anniversary of Somerset Parish. 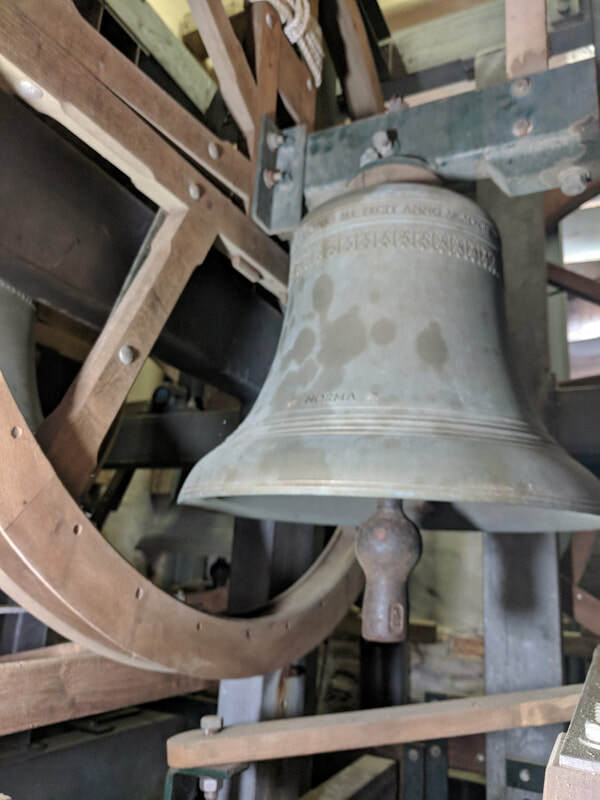 They are the first bells of their kind in the state of Maryland. 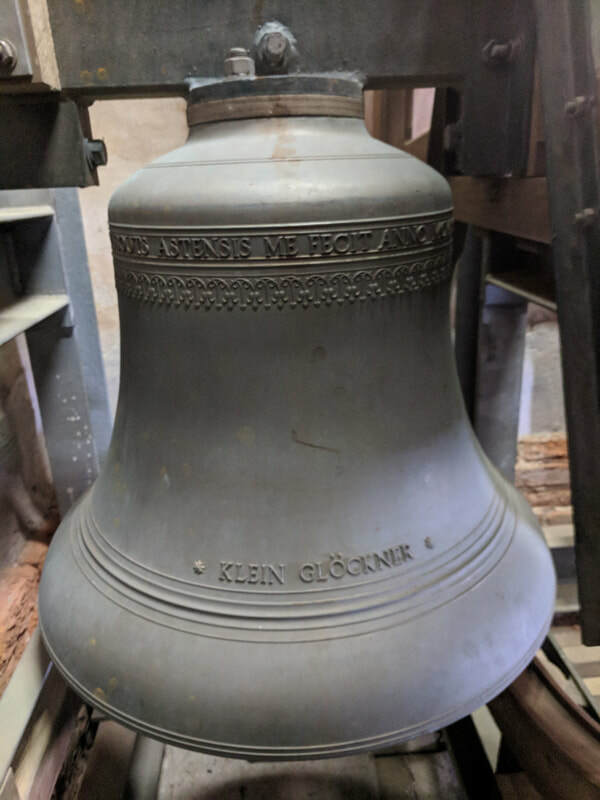 Cast by Eijsbouts of Asten, Netherlands, the bells were fitted in a bell frame supplied by Salisbury Steel and designed by Eayre and Smith, Ltd., of Melbourne, Derby, England. 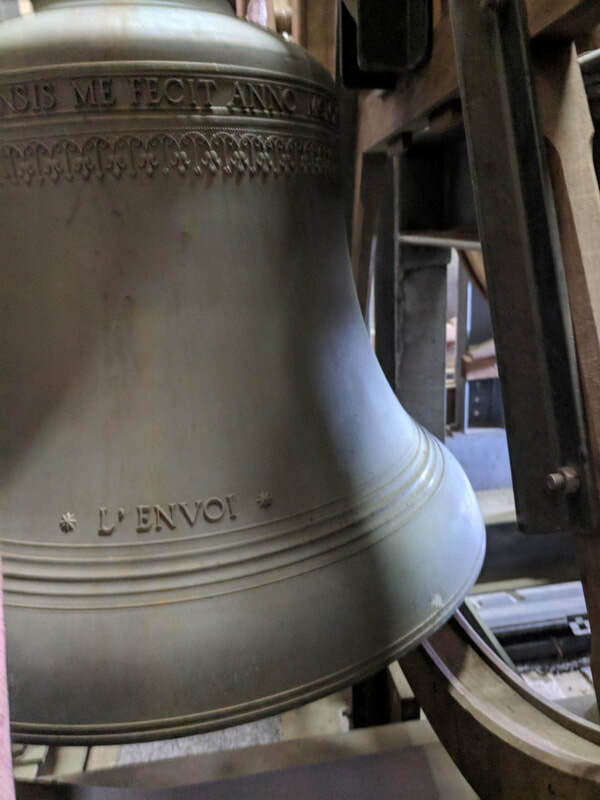 St. Andrew's Bells, range in weight from 189 to 402 lbs each. 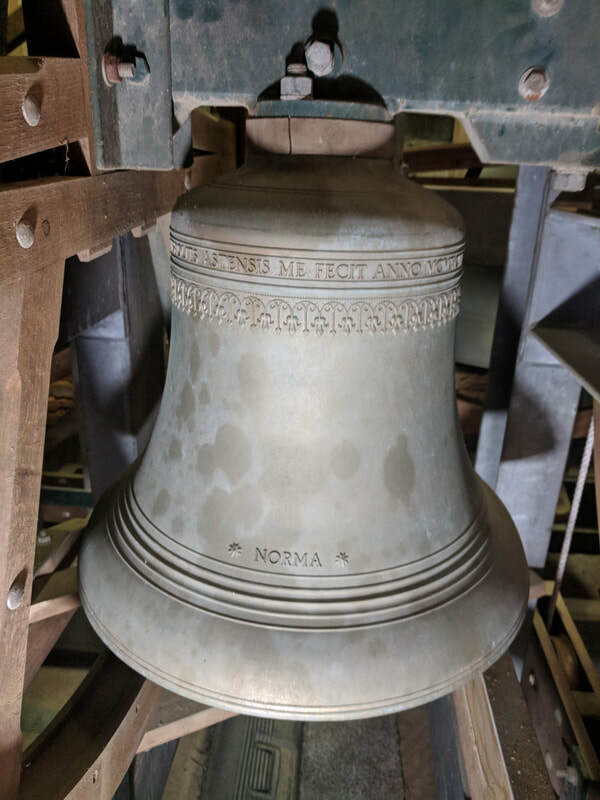 The bells are named Norma, MacMaster, John, L'Envoi, Klein Glockner, and Huett of Somerset. 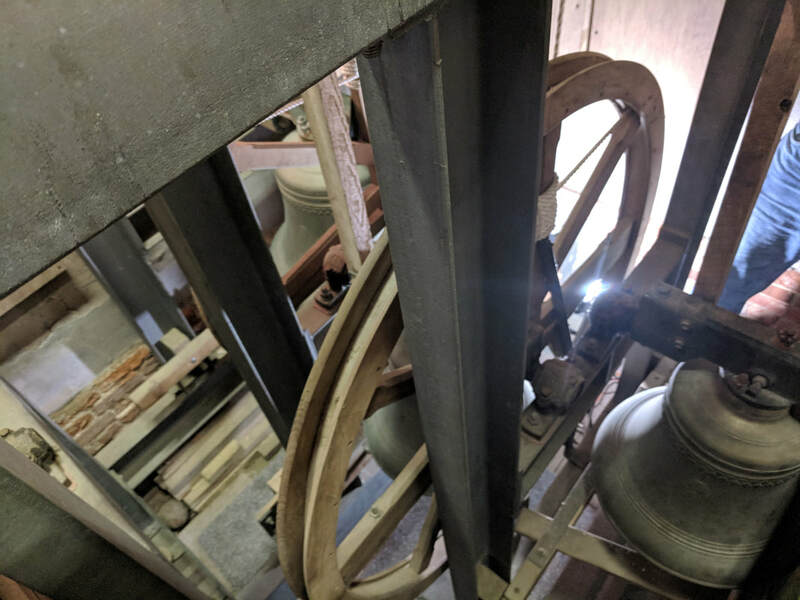 Bells sound to remind people of the past, to announce life's events such as weddings and funerals, and to call all to worship to celebrate the Glory of God. Interested in being a ringer? It is fun. It exercises the body and mind. It promotes friendships and team spirit. Anyone one can be a ringer. You don't have to read music. To learn more visit St. Andrew's Sunday morning. You can also visit The North American Guild of Change Ringers website .